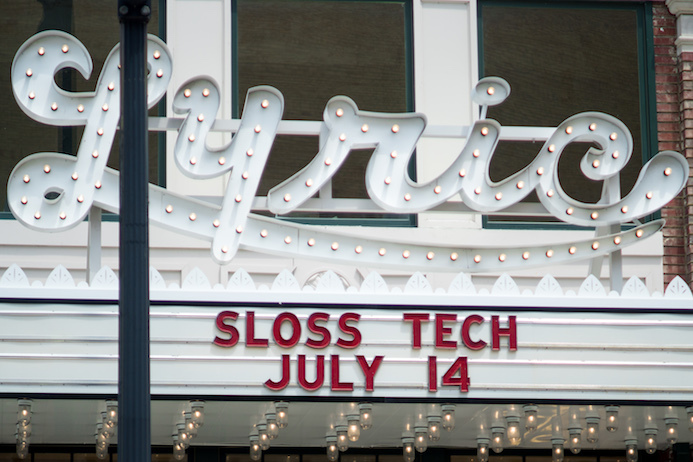 What was your favorite part of Sloss Tech? J: Without a doubt, my favorite part of Sloss Tech was Casey Neistat’s talk. I have followed Casey’s online presence for a few years now, but have never had such an insider experience into his life. His love for content creation, running, and entrepreneurship were very apparent. Being able to hear future plans for his tech company Beme, after its acquisition from CNN was also super cool. T: Personally, I really enjoyed both of the keynotes—Casey Neistat and Tiki Barber—but my favorite was hearing from Shipt founder Bill Smith. I think the reason it struck a chord with me is because Shipt is one of those big wins for Birmingham’s tech scene, and I could tell people were really excited about the company’s growth in the past couple of years. Everyone was really cheering for them and looking for wisdom on how to move their own companies to the next level. It all reminded me of the same way we have loved seeing big wins in Chattanooga like Bellhops and Skuid. What are your takeaways from the event? J: With an idea and good execution, anything can happen. Will Pearson, Co-Founder of Mental Floss, helped transform a magazine into an online media brand with the help of data analysis and the power of the internet. Bill Smith, Founder and CEO of Shipt, wanted to make it easier for new parents and busy professionals to buy groceries. Casey Neistat only has a 10th grade education, yet created and sold a technology company to CNN for $25 Million. T: It was awesome to meet locals who are getting involved in the local startup scene. The rallying behind Birmingham’s growth reminds me of the same excitement we’ve seen in Chattanooga since the gig came into the picture. It was also refreshing to hear discussion about the hurdles that mid-sized cities in the South face with building entrepreneurial ecosystems (ie: talent pools and funding.) All that to say, I think there are a lot of things that cities like Birmingham and Chattanooga can learn from each other as they continue developing. What are your recommendations for things to do/see/eat in Birmingham? J: Birmingham had a surprising amount of cool food spots throughout the city. Pizitz Food Hall was almost exclusively filled with international food options I’d never tried before. I’d definitely recommend checking out Pizitz Food Hall to anyone visiting Birmingham. T: I really wish I had been able to spend more time in Birmingham! But in the 36 hours I was there, I like to think I got to try out some really great places. Garage Cafe had one of the best patios (imagine an outdoor antique store where you can drink beer) and I loved being able to check out Good People Brewing Co. And Pizitz Food Hall—we definitely need something like that in Chattanooga. Read more about Sloss Tech on their website.